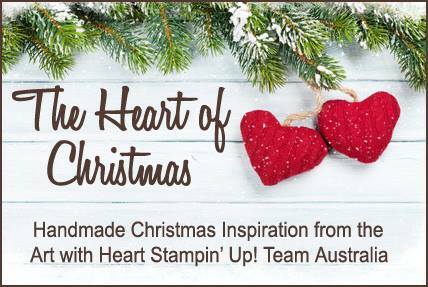 Hi everyone and welcome to week 13 of Christmas inspiration with Art with Heart Stampin'Up Team Australia. 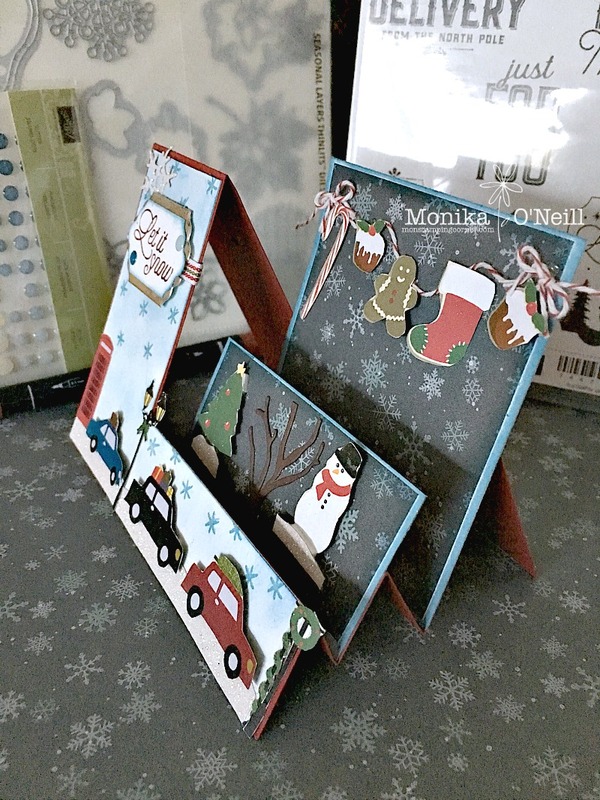 For todays card I chose to make a step card using Cherry Cobbler as my base. I did mostly fussy cutting which I don't normally but it wasn't too painful lol. I used Christmas Around the World DSP and fussy cut all the elements. Dazzling Diamonds for the snow. I sponged Marina Mist and Night of Navy for the two front panels. 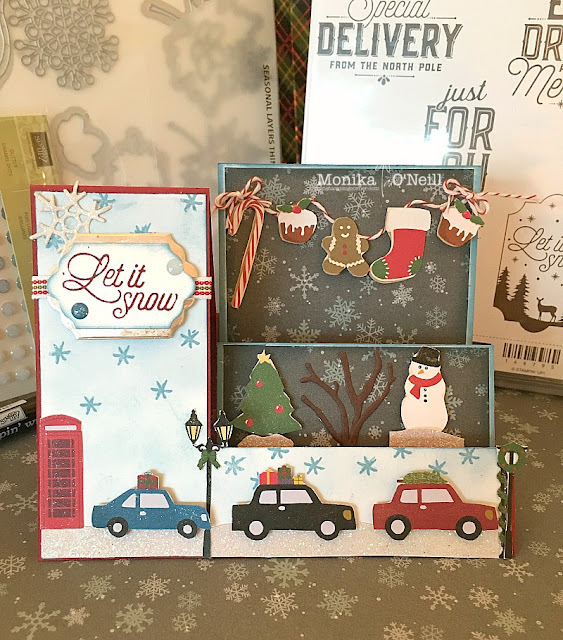 The sentiment is from the Merry Little Labels Stamp set, I used a Cherry Cobbler marker and just highlighted 'Let it Snow' and used the smallest of Lots of Labels framelits and backed it with Champagne Foil and finished of with clear Wink of Stella. Hope you enjoyed this weeks card. To see more beautiful inspiration from our very talented ladies you can view all our participants on our lovely Team Leader Claire's blog. Have a great week and will see you again next week with some more great cards.